The Asian Development Bank and the Australian Government jointly launched the Mekong Business Initiative (MBI) in 2015. 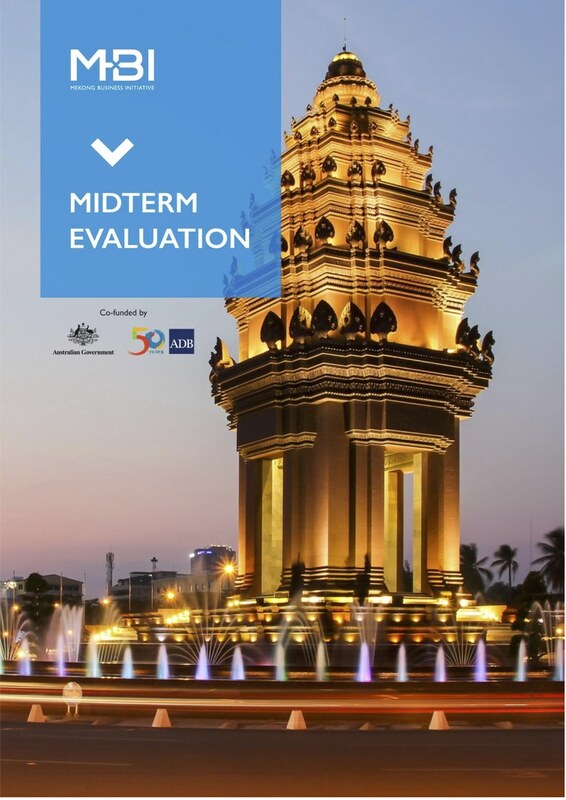 MBI catalyzes private sector development in emerging Association of Southeast Asian Nations (ASEAN) markets, focusing on Cambodia, the Lao People’s Democratic Republic, Myanmar, and Viet Nam (CLMV). The program aims to improve the business-enabling environment in CLMV countries with a particular focus on business advocacy, alternative finance, and innovation. Based in Ha Noi, MBI focuses on three pillars: improved public–private dialogue on private sector development (PSD) policies and regulation, increased financing for small and medium-sized enterprises (SMEs), and supporting the growth of a dynamic innovation ecosystem. Overall the impact of MBI in the CLMV countries has been largely successful. Instead of planning, they created a framework for implementation. Initiatives would be driven by public and private partners, where MBI could select activities that were most closely aligned with their 3 pillars. MBI assembled a team of experts to accelerate the takeoff, and later utilizing experts on an ad hoc basis. Through this selective model, they catalyzed the entrepreneur ecosystem in the CLMV countries as well as subprojects directly requested from local stakeholders. These subprojects have been the most impactful and relevant. MBI also tested some innovative models in countries that were not ready. They were able to adapt the projects’ approach, ensuring higher success probability. The project is highly reliant on the quality of internal and external human resources. The strong internal team covered multi sector and country activities. Their multicounty programs were largely successful because MBI was able to pilot sub-projects, later expanding them to other countries following learned best practices. With this, MBI had an edge to mold successful ventures to fit the different cultural and social contexts. Detailed in this report, in the opinion of the compiler, MBI could improve certain aspects of its implementation. Including but not limited to, the increased centralization of management systems, higher monitoring of KPI’s, improvement of gender-specific indicators at specified levels, and leveraging ADB’s brand to build strategic partnerships with financial institutions. These partnerships can further complement their pillars of financial inclusion, business advocacy, and innovation, creating a sustainable future for this project.